If you are looking for NFL Game Rewind, NFL Audio Pass, or NFL Preseason Live, they’ve been replaced, or at least rebranded as one product called NFL Game Pass. NFL Game Rewind gave fans on-demand access to all NFL Games after the games were over. The same will apply to the new NFL Game Pass. It also incorporates the NFL Preseason Live product which gives both Live out of market and on-demand access to NFL preseason games. 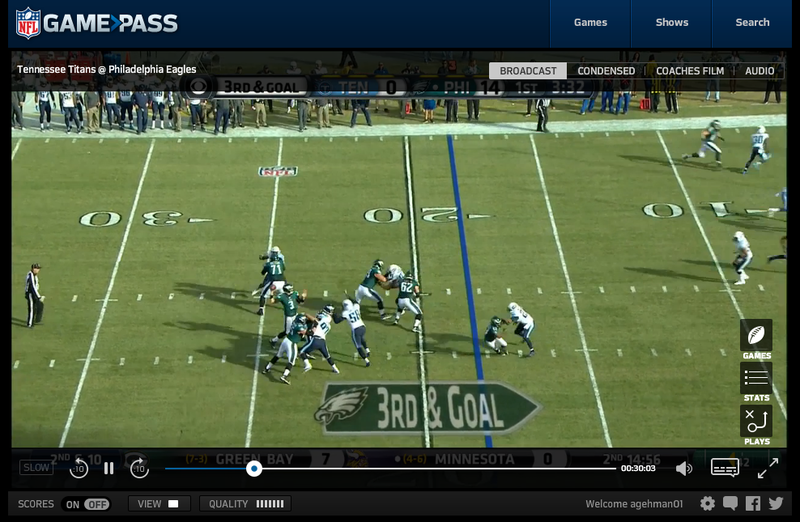 NFL Audio Pass was a live and on-demand radio feed for all NFL teams. There are some new features for 2015 including access through some TV connected devices like XBox and Apple TV and mobile devices. One confusing part of this change is there already is a product called NFL Game Pass that allows people outside the US and Mexico to access live NFL Games. However, if you live in the US or Mexico you don’t get access to that product. The “domestic” version runs $99.99 for a full year access, but previous year subscribers will be able to get it for $69.99. For more information, or to sign up, check out NFL Game Pass.